Known as Corkscrew Hazel or Harry Lauders Walking Stick, this is a great as a centrepiece in a small garden, its contorted branches give it an architectural beauty all of its own. 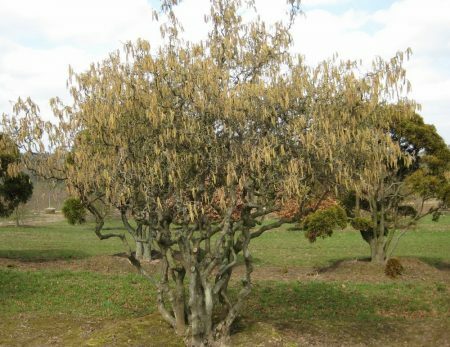 Yellow catkins are produced in February / March and its green leaves turn yellow in the autumn before they fall. Corylus avellana Contorta thrives on any free draining soil and its corkscrew twigs can be used for seasonal decoration in the house.